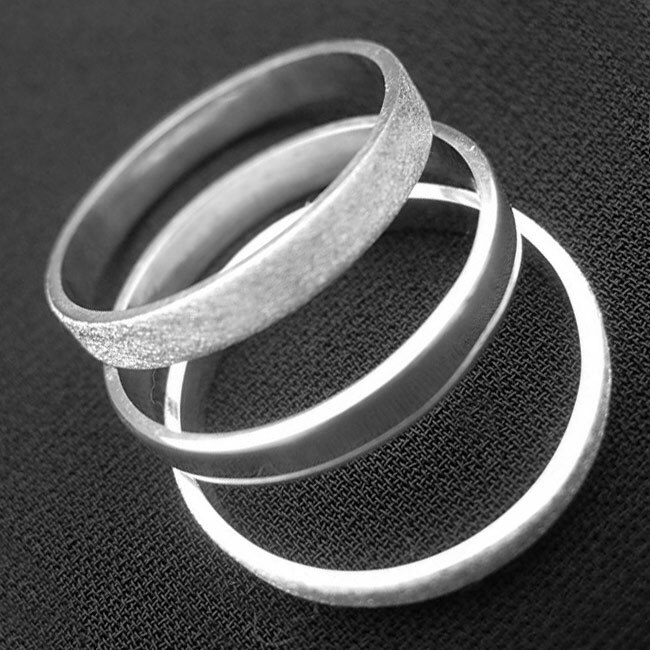 An understated elegant triple band ring from LWSilver. Crafted from sterling silver it feature three silver bands, two with a satinised texture and one highly polished. Worn together for the full effect. Each ring measures approximately 3mm thick. SKU: N/A. Availability: In stock Size: N/A Categories: All Jewellery, Rings, Mens Jewellery, Ring, For Woman, For Men, Wedding Jewellery, Wedding Rings. 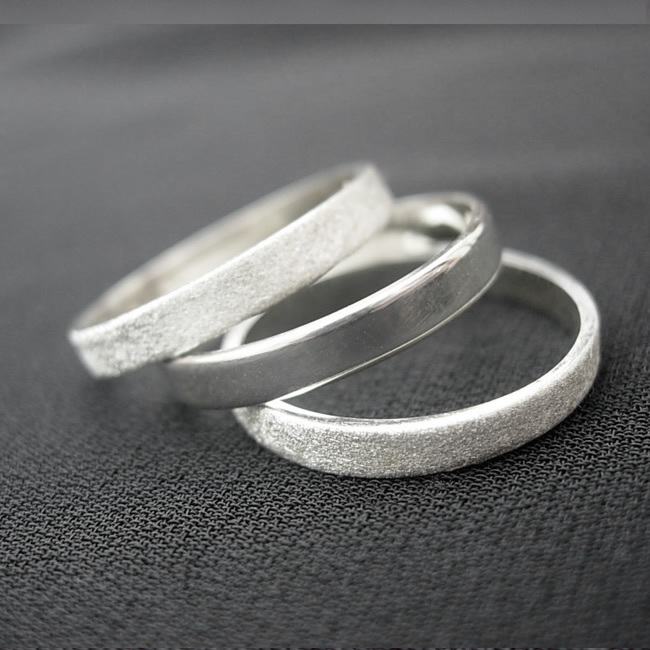 Tags: bands, bespoke, bespoke silver, designer, handmade, handmade silver jewellery, jewellers, jewellery, jewellery Liverpool, jewellery maker., liverpool, LWSilver, male, mens jewellery, north west, north west jeweller, silver, silversmith, three band ring, triple nad ring, wedding rings, wirral. 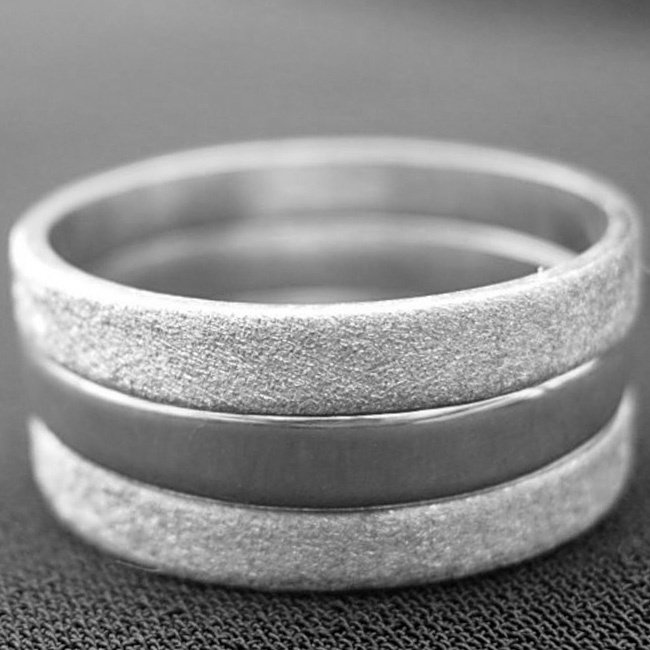 An understated elegant triple band ring from LWSilver. Crafted from sterling silver it feature three silver bands, two with a satin finish and one highly polished. Worn together for the full effect.